"Cross it! Cross it Eamonn!" "Ah for christ's sake Eamonn, son." "Hey! Coach, can you not coach my son to cross it? What do you work on in training? Shambles." Some things in youth sports never change. 'Hasbeens' trying to live life through their kids. Blinkered parents. Damien Duff today scoffed at the "pain in the a*** parents" trying to run his under 15's schoolboy team. "I just tell them to piss off. It doesn't help the kids." he said. However, the pushy parent can inflict more pain and cost you more money than hemorrhoid treatment down in Boots. They can be a very disruptive influence in any sports club. Handled incorrectly, a simple complaint can lead to a long, protracted and costly dispute. Look at the parent in Cork who convinced his son to sue his club, Carrigaline United, for psychological damage allegedly caused because he wasn’t being selected. In a different sport, I saw a minor complaint about coaching standards result in a lengthy arbitration with lawyers, witnesses and huge costs. Not where you want to be ! 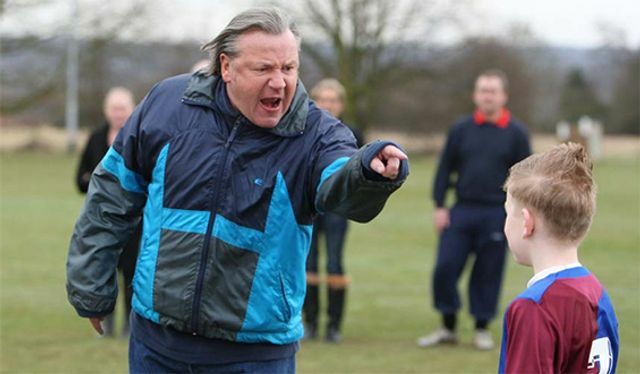 All sports clubs need to consider their procedures for handling complaints from all participants, including parents. A robust and transparent “complaints and disciplinary procedure” can be very effective in defusing the emotion and irrationally that underlies the majority of sports complaints. It should provide a simple, transparent path for anyone with a complaint to follow. It should include informal and formal (such as mediation) methods of resolving any complaint. It will save money in the long-run, trust me. So, fair play to Duffer for calling it as it is, but make sure the “I tell them to piss off” approach is backed up by watertight rules and procedures. Give the pushy parent nowhere to go, well…..other than to 'follow procedure'. And, as for poor Eamon's Dad: how about a bit of cop-on and let your son enjoy a magic opportunity to be coached by Damien Duff.